Today is 21st September and like me, hordes of Android users are waiting for Blackberry Messenger to arrive on Play store. Social Media sites are abuzz with talks of BBM downloads. 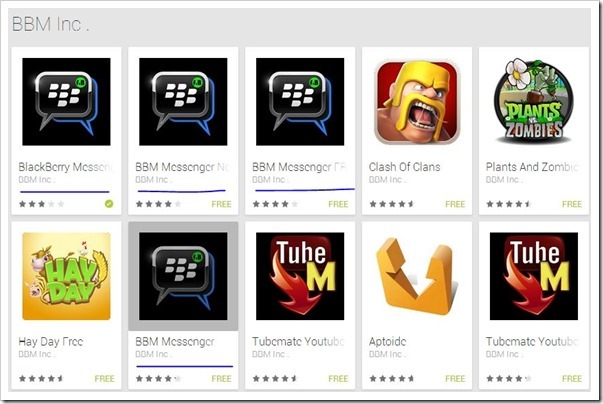 Like many others, I visited play store to check BBM’s arrival. To my excitement, I had “Blackberry Messenger” by “BBM Inc.” staring right back at me. Without giving much thought about it, I went ahead and installed. Generally, when I install any app, I make sure I read the reviews properly, to make sure that the app is genuine and works properly. This time though in the excitement, I did not do it. And like many others I fell into the trap. Here check the screenshot from Google Play store of the app I am talking about. Though I knew that there are many “Blackberry” Apps created by third parties, the name of developer of this app “BBM Inc” was what convinced me to download it. When I tried opening the app, it crashed on my Nexus. I tried it a few times but same thing happened. I have installed hundreds of apps on phone, but I have never had a app that did not even start. I was a little surprised. But after I read the reviews from users and spoke to a few people on Facebook and Twitter, it became clear that I was caught in the FAKE-APP trap. 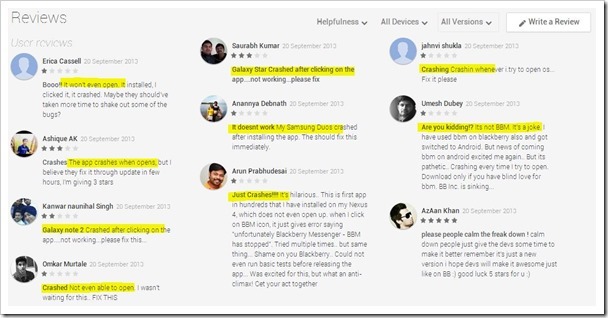 Literally every reviewer had the same experience of app crashing on them. After doing little bit of research on the developer name “BBM Inc”, it was clear that the App was not only fake, but may also be a malware, that could potentially harm your mobile. The app developer had not one but 3-4 different apps for “Blackberry messenger” and also some other games to their name. The description used for the app was not something Blackberry will use for their apps! The real BBM app will be arriving at 4:30pm India time on Play Store. The app may be released under the name of “RIM”, “Research In Motion” or “Blackberry”. Also, make sure read the description where it may say that “this is official BBM app for Android”. In addition read the user reviews of the app to see what they have to say about it. If the reviews are positive, that means people have used it and vetted the authenticity of the app!